This vegan friendly organic baby shampoo is approved by allergy UK, dermatologically tested, cruelty and palm oil free. Made with plant based ingredients and enriched with Vitamin E for the softest and sweetest smelling hair. Just pump a small amount into your hand, gently massage into baby’s scalp creating a lather, then rinse clear. Gentle formula which wont irritate your child’s eyes. 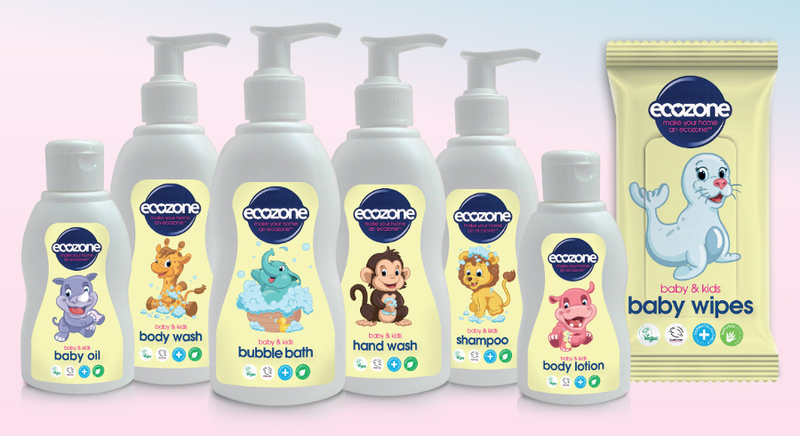 Ecozone, helping you make a difference to our environment for your child’s future. Aqua (Water), Cocamidopropyl Betaine, Lauryl Glucoside, Myristyl Lactate, Sodium Cocoamphoacetate, Coco-Glucoside, Glyceryl Oleate, Glycerin, Panthenol, Parfum, Tetrasodium Glutamate Diacetate, Citric Acid, Potassium Sorbate, Sodium Levulinate. 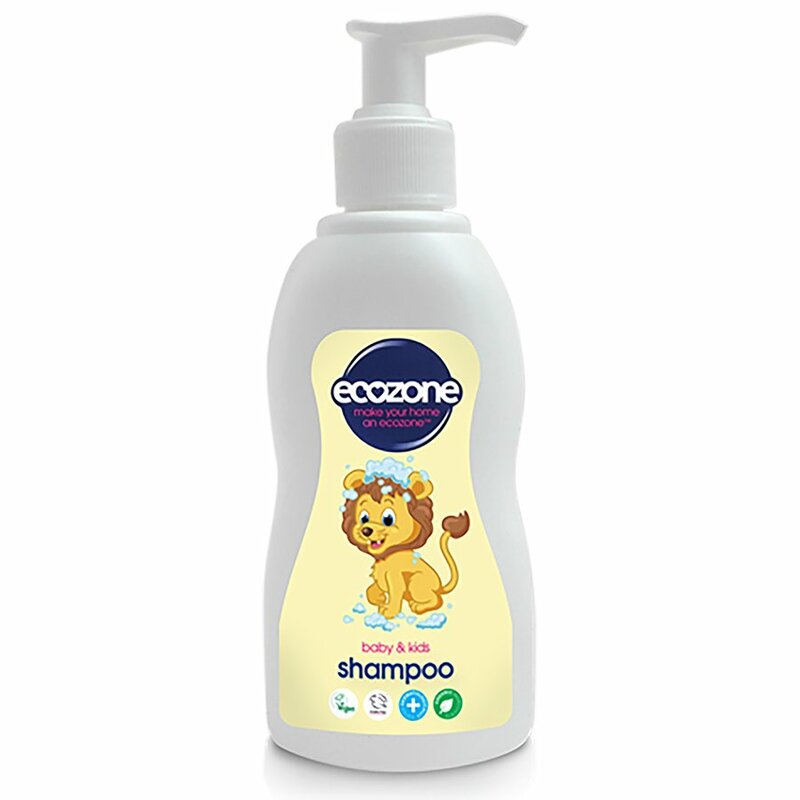 There are currently no questions to display about Ecozone Baby Shampoo - 300ml. Ecozone was created in 1997 to provide the consumer with a cleaner, healthier, toxin-free home. The company’s vision is that all homes should be perfectly safe and perfectly clean for all the family, keeping germs at bay without toxicity. All products are made without any animal ingredients, are vegan and Certified Cruelty Free. This British company now supplies its range of innovative, technologically advanced, ecological cleaning products across 22 countries. New ways are constantly being developed to minimise the impact on the environment of the production and the products themselves.